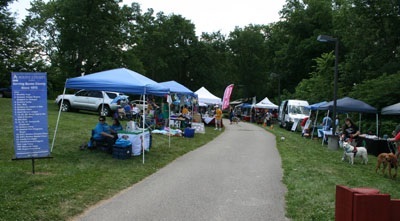 PetFest 2019 is right around the corner - Sunday, June 30th! This is our largest fundraising event of year. 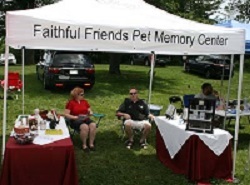 The goal of PetFest is to raise awareness about animal lifesaving activities in our region, connect people with area businesses and nonprofit organizations that share our love of animals, and generate funds for all FOTS programs. One hundred percent of the net proceeds will be used to support spay/neuter and other programs that further our mission. Want to help? 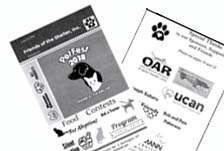 Find PetFest information, documents and forms here. A $200 donation will put your logo on our official PetFest T-shirt. You will also receive a full page advertisement in the Program and a booth at your option. 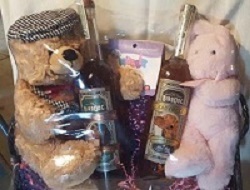 For more information or to become a sponsor, please email Jan Chapman. Advertise your business or organization, to reach out to friends and neighbors! Please email [email protected] for information on more advertising options or to place an ad. Download the Advertising form below or complete it online. We invite you to rent a booth/space at PetFest. The cost is $60 ($30 for 501(C)(3) nonprofit organizations). There are a few rules you need to review before you get started. The application form and a list of rules can be downloaded below. Your may also complete your form online! Be sure you have read the rules and regulations first.